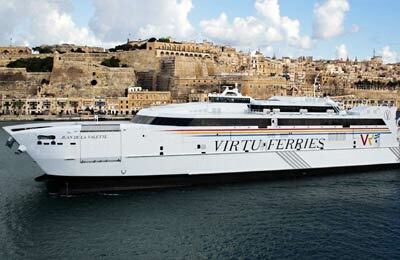 Virtu Ferries have a very frequent schedule and operate a very modern fleet of fast vessels that will truly allow you to enjoy your holiday in Malta. Alternatively, if you are already in Malta, Virtu Ferries gives you the chance to explore the historic and beautiful island of Sicily as part of your holiday. Please note: The Catania to Malta route is only available to foot passengers, and your fare will include the cost of a bus between Catania and Pozzallo. The Pozzallo to Malta route is available to vehicles. 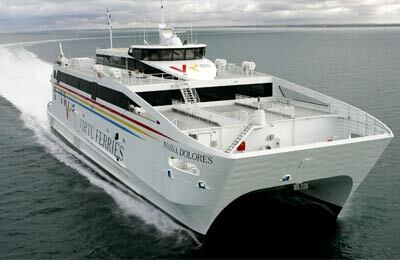 Virtu Ferries has a fleet of six fast craft ships. The largest vessel of the six, Jean de la Valette can transport 800 passengers and 156 vehicles and makes 500 round trips between Valletta and Pozzallo every year. On board each vessel you will find airline style seating and toilets. Smoking is not permitted inside any of the ferries, however this is permitted on deck. On some vessels you will find a club class lounge and a restaurant, as well as various shopping and recreational facilities. How long before departure should I arrive for Virtu Ferries?